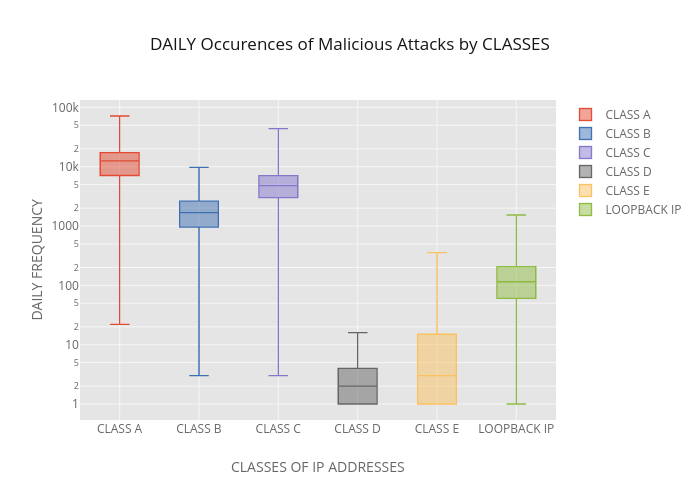 Richardafolabi's interactive graph and data of "DAILY Occurences of Malicious Attacks by CLASSES" is a box plot, showing CLASS A, CLASS B, CLASS C, CLASS D, CLASS E, LOOPBACK IP. The x-axis shows values from 0 to 0. The y-axis shows values from 0 to 0.